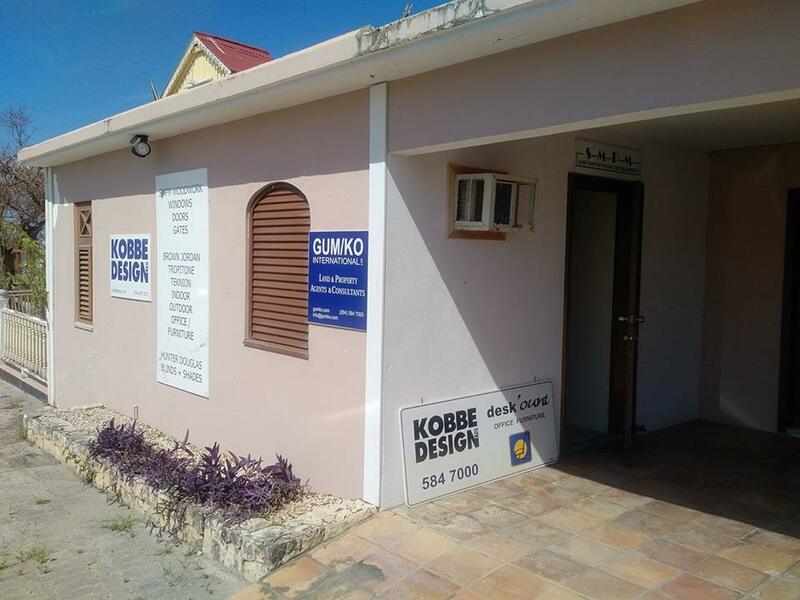 We begin our series of architectural landmarks in Anguilla paying tribute to a building that, though modest, played a central and remarkably varied role in the life of local residents over the course of more than one hundred years: Sandy Ground’s pump house. Before hurricane Irma razed it to the ground in September 2017, the wooden pump house on the edge of the Road Salt Pond had been known for two decades as the most popular and perhaps most emblematic bar in Anguilla. 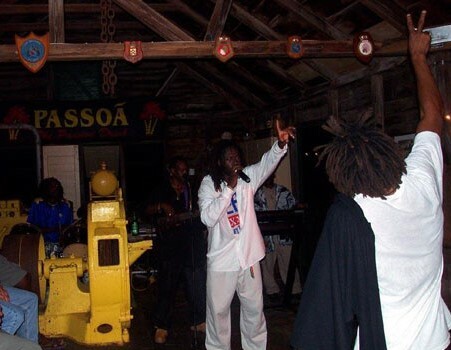 But long before the pump house became The Pumphouse this building had been at the core not only of Anguilla’s entertainment scene but rather of the island’s livelihood. 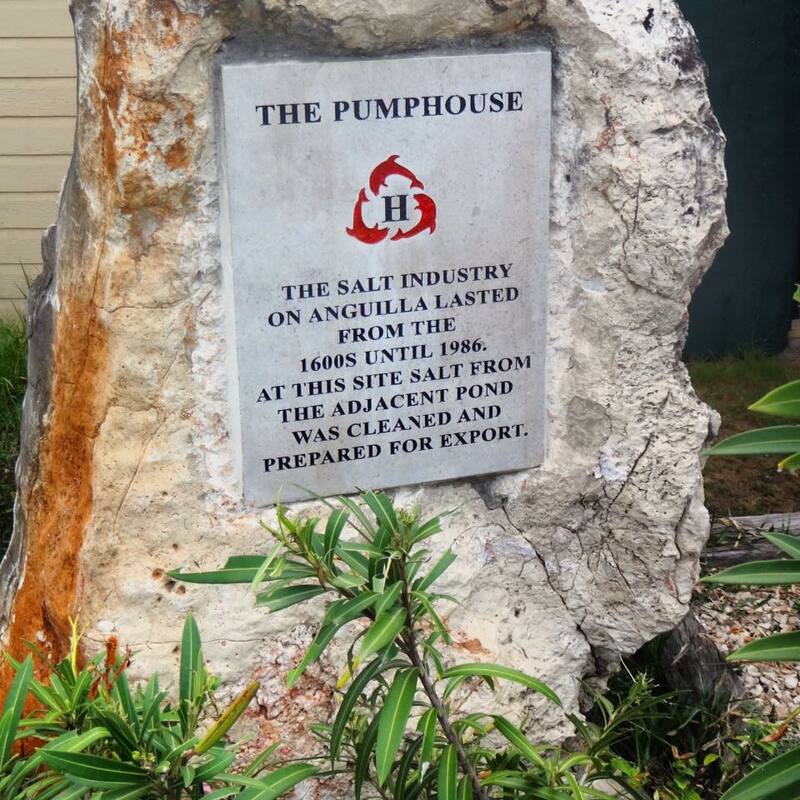 Because prior to the revolution—prior to Anguilla’s watershed moment—the largest industry on the island was salt picking, and no site was ever as productive as the Road Salt Pond, the heart and soul of which was contained, quite literally, in the old pump house. 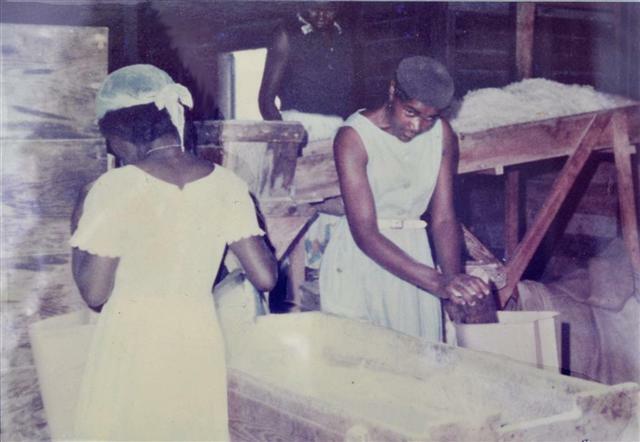 Though historically salt doesn’t enjoy as prominent a status in Anguilla as it does in St. Martin’s history, the fate of Anguilla was in many ways affected by the state of its salt industry. 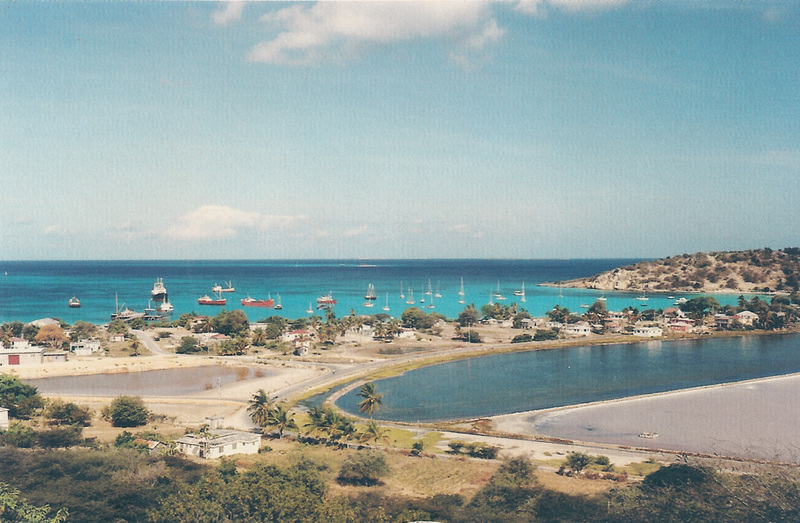 The island’s saltpans have almost certainly been exploited since the seventeenth century, though the first Anguilla Salt Ponds Joint Stock Company wasn’t founded until 1855. 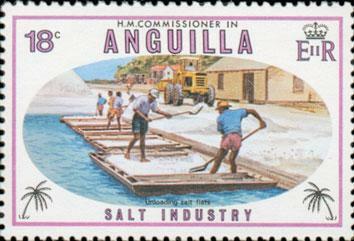 For centuries salt reaping in Anguilla was conducted with no interference of the natural process, whereby the basins would be flooded periodically by seawater which would subsequently be evaporated by the sun, creating a sheet of salt which had to be pierced and picked from the bottom of the pond to be transported over flat barges to dry land. Legend: on the slider a view of Sandy Ground with the original saltpans on both side of The Road and workers packing salt in the pump house (source: aahsanguilla.com). 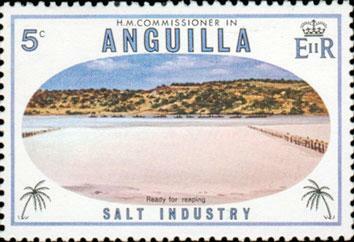 Also commemorative stamps from 1969 (blue) and 1980 focusing on the salt industry. It would be Wager Rey, originally from St. Martin, who would deploy a system of stone dams all around the Road Salt Pond to regulate the levels of seawater and keep rainwater from diluting the brine. Wager’s son, Carter would further develop the mechanism and install a diesel pump to drive the rainwater out of the lagoon, as well as a mill to grind the salt rocks down to grains. In order to protect this valuable machinery from the elements, and to provide shelter to those cleaning, preparing, grinding, and packing the salt, the wooden pump house was built, probably sometime in the 1910s. Suitably simple (it was, after all, an exclusively utilitarian structure with a very specific commercial purpose), the pump house consisted of three ample rectangular areas with no partitions inside, almost like three church naves strung together, held up by rudimentary wooden pillars and crowned with its distinctive triple gabled roof. Built with care and precision, the roof—with its solid web of joists, straps and collar ties plainly on view—is precisely what made the pump house survive the most savage of hurricanes, from Donna in 1960 to Luis in 1995, and outlive the salt industry by several decades. Indeed, the first Anguilla Salt Company ceased trading roundabout 1950, and it wasn’t until the 1960s that 1960s Rupert Carty and Joseph Owen paired to create the Anguilla Road Salt Company. At the time Carty had been working in Trinidad, where salt was needed in great quantities for the oil refining process. 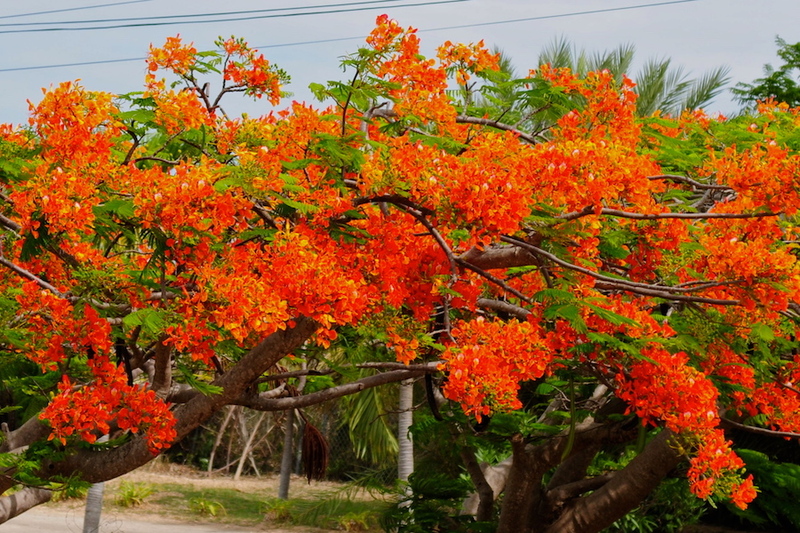 For the best part of the following two decades salt competed only with lobster as Anguilla’s mainstay. 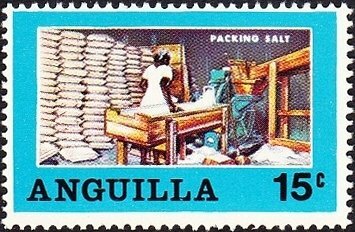 So much so that in the turbulent year of 1967, despite the protests and the turmoil that signaled the beginning of the Anguilla Revolution, the Anguilla Road Salt Pond Company produced more than 9,000 tons of salt, exporting more than half of it to Trinidad. 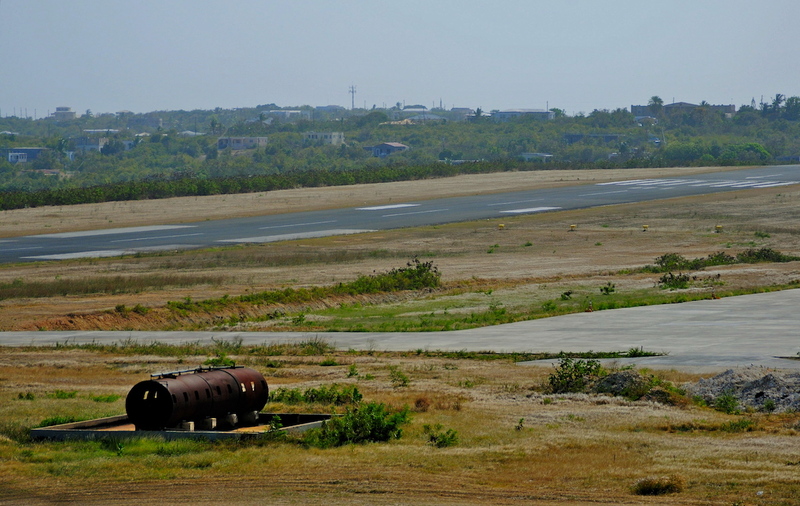 A combination of unfavorable weather conditions and financial volatility in Trinidad brought dark clouds over the venture in the 1980s, and the passage of hurricane Klaus in 1984 put the final nail in the coffin of the Anguilla Road Salt Company. The pump house on one side of the road and a mound of leftover salt on the other remained as relics of what once had been an enviable business. The salt withered away, but the pump house refused to die, and ten years later Laurie and Gaby Gumbs gave it a new lease on life—one that, as it turned out, would last more than two decades. 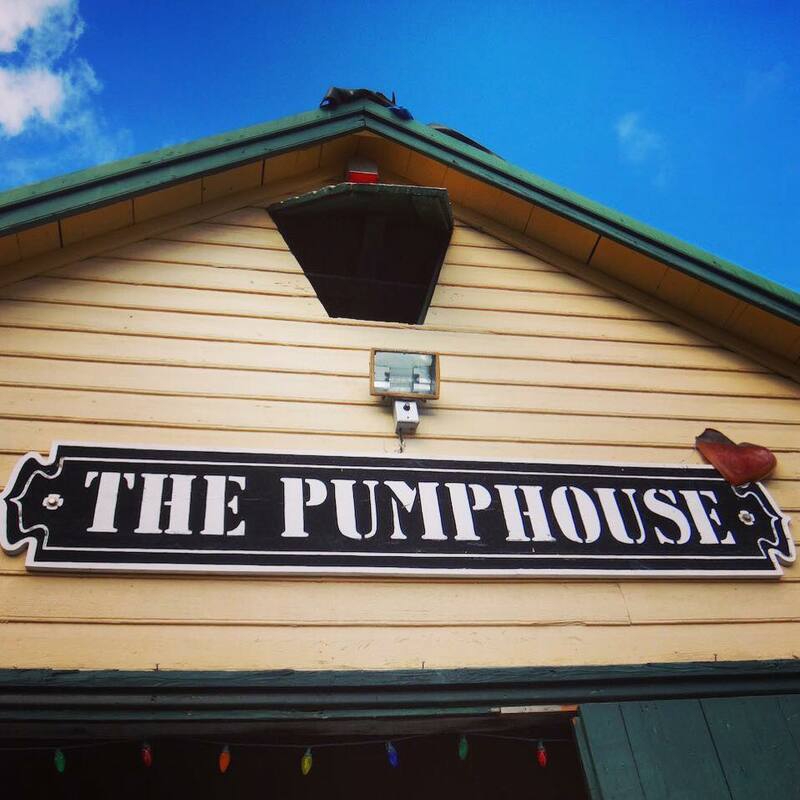 Legend: The Pumphouse fully embraced its past. 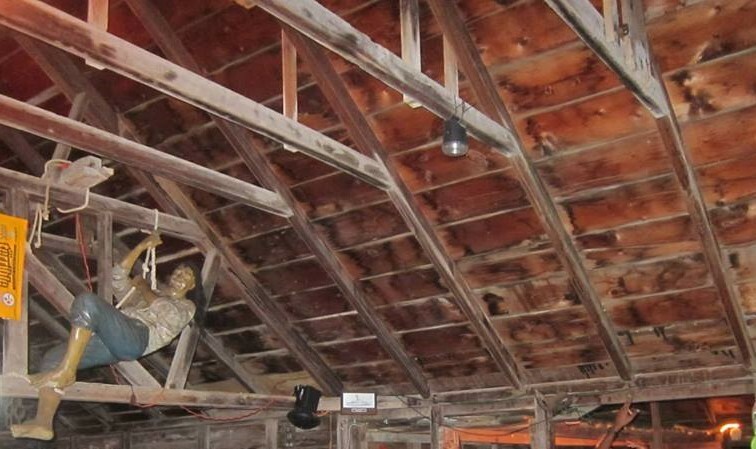 Admittedly it’s hard to look past the dummy but notice the fabulous woodwork on the ceiling. The actual pump, in yellow, was prominently displayed onstage. In 2010 the Anguilla National Trust presented its commemorative plaque. All photos taken from facebook.com/ThePumphouseAXA. The first thing that made The Pumphouse, the bar, special was the love and discernment put into preserving the heritage of the building while adapting it to a modern enterprise: the familiar two-toned exterior, the shingled roof, the beautifully painted Demerara windows and even the old mill, haughtily sharing the stage with musicians on a weekly basis, endeared The Pumphouse to everyone connected to Sandy Ground even before it had opened its doors to the public. Then, the bar became an institution in its own right, somehow blending the magic of the present with the legacy of a glorious past. 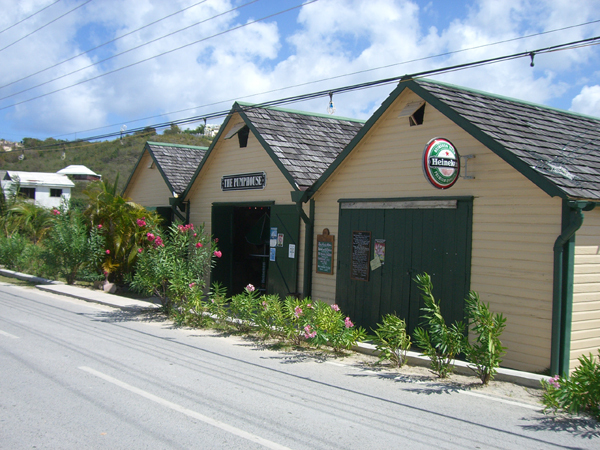 Hurricane Irma, with its unnatural rage, uplifted practically every frame, beam and board of the pump house, with the exception of the ancient mill, the familiar redwood bar, and a commemorative plaque carved into a limestone boulder which was placed by the Anguilla National Trust outside the building in 2010. 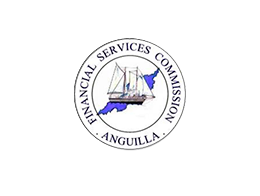 As it seems, the most devastating hurricane to have hit Anguilla in recorded history also had a sense of irony and an eye for symbolism. The pump house on the northern edge of the Road Bay Salt Pond is gone, but the humble, understated structure did a tremendous job for more than 100 years—an accomplishment that encapsulates the Anguillian spirit and that attests for the exceptional tradition of sturdy constructions on this small but resolute island. Parts of this piece were published on a different article by The Daily Herald on 18 November 2017.